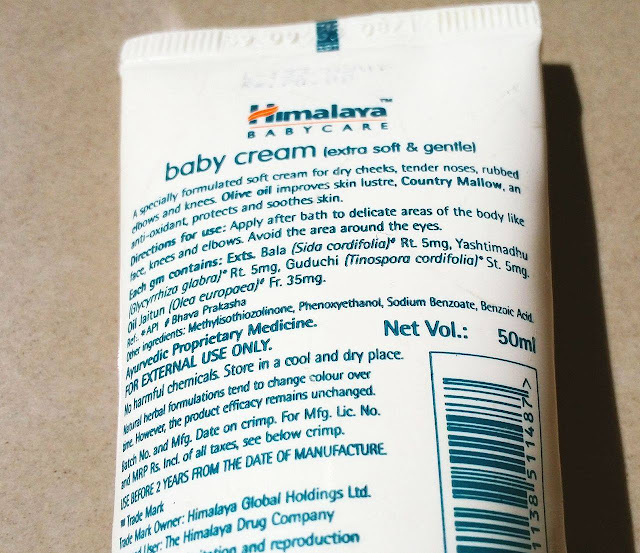 Himalaya's Baby Cream is specially formulated to protect your baby's chapped cheeks, knee, tender nose and rubbed elbows. 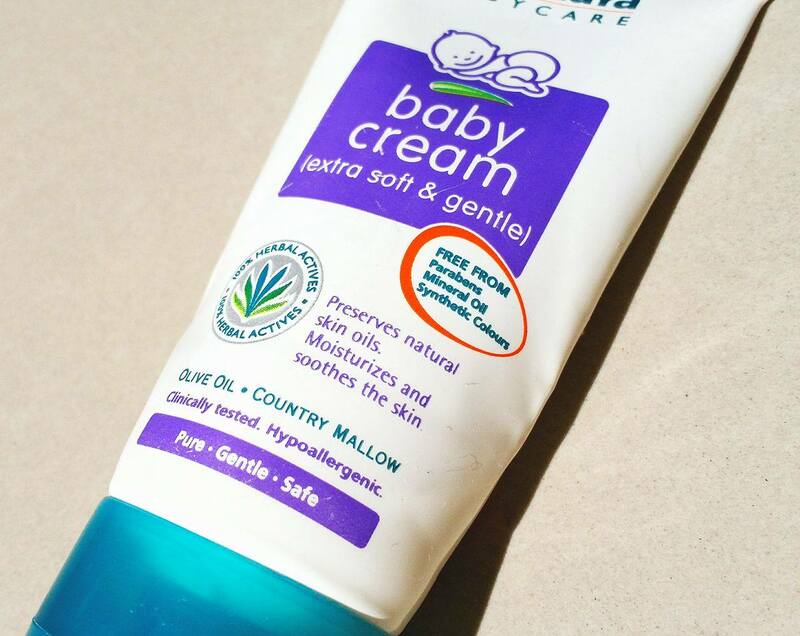 The cream helps to moisturize your little one's skin and preserve its natural softness. This cream keeps your child’s skin hydrated and moisturized all day long and soothes it. Also cream protects your child’s sensitive skin against irritating wetness and windburn. Olive Oil, enriched with vitamin E, nourishes, protects and softens skin and prevents chafing. Licorice protects and soothes your baby's skin. Applied topically, licorice helps relieve symptoms of itching, swelling, and redness. Himalaya Baby Cream comes in a squeeze tube with a narrow nozzle that controls even the tiniest amount of product well when dispensing. 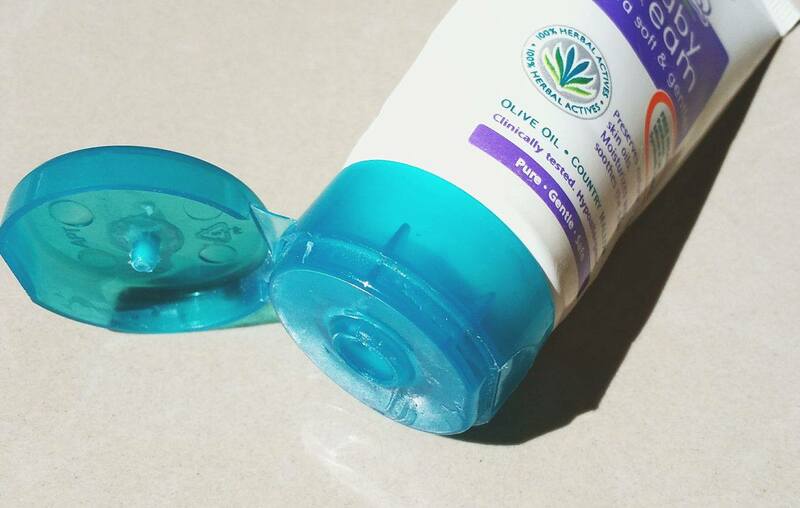 The tube is secured and has a green flip cap, which is quite sturdy and tight enough. This kind of packing is absolutely travel-friendly. It has a soft and a creamy texture. The consistency is not so thick or not too runny. The product sinks into the skin very quickly. Every day just after the shower I apply it to his skin. 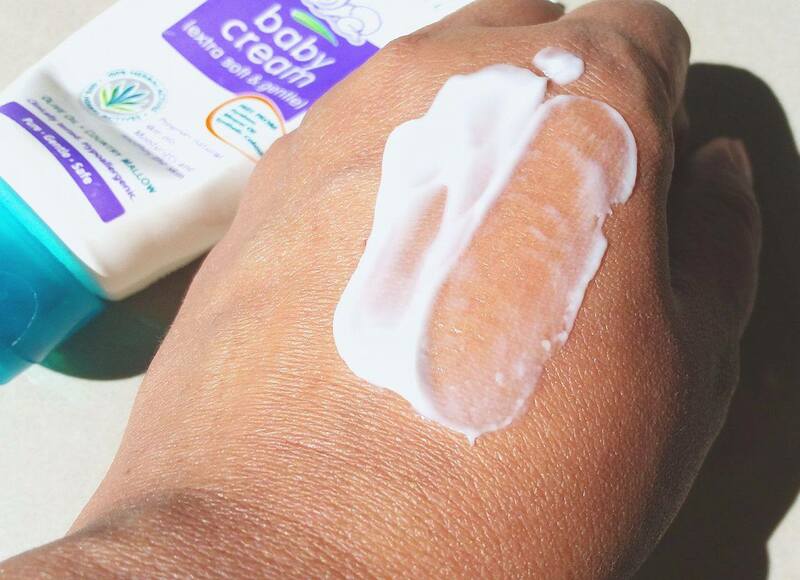 My son tends to dry patches on his skin so when I found the dry patches I apply the cream. It has very mild refreshing fragrance which isn’t bothering. I think it does enough moisturize the skin. This cream can help to soothe as well as moisturize his skin's dry patches. Skin felt instantly hydration. The moisturizing effect doesn’t last long so need to re-apply. 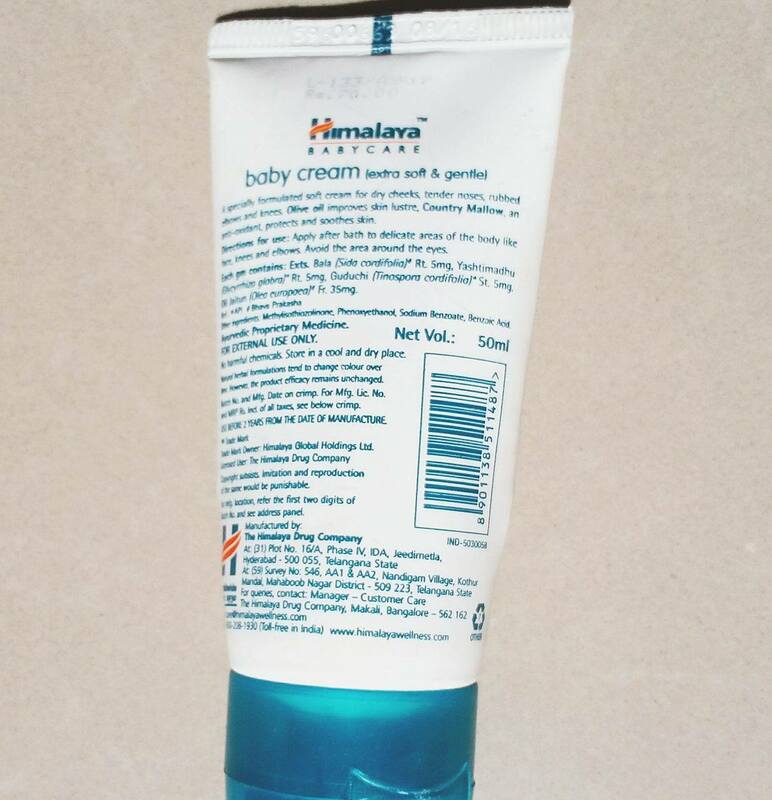 Overall, Himalaya baby cream helps in nourishing baby’s skin in winters. I really like this cream and it’s gentle enough for my baby's skin.